* Applicable to appliances purchased after 1 Dec 2016 and subject to registration. • The product is guaranteed against defects in materials and/or workmanship. Any parts found to be defective will be repaired or replaced at our discretion. • Parts are defined as mechanical/electrical parts only. • Products registered outside the 30-day period will receive a 12-month parts and labour guarantee only. The 30-day period is calculated from the delivery date and not the installation date. • Warranties in whole or part are non-transferrable. • If a fault is reported and an authorised SIA agent attends to the appliance, the service call fee will be charged to the customer IF there is no fault found with the appliance or the fault transpires to be due to misuse of the appliance or incorrect installation. • Ship It Appliances retains the right to invalidate the warranty in the event of physical or verbal abuse towards any member of staff. • The provision of services under the warranty neither extends the term of the warranty nor sets in motion a new warranty period. The warranty period for spare parts fitted ends with the expiry of the warranty on the appliance as a whole. 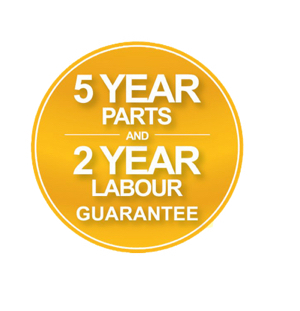 The warranty remains effective from the date of delivery. • On the occasion that a product is over 2 years old* and is considered to be beyond repair or uneconomical to repair, we will offer a replacement appliance and charge an appropriate monetary offset in respect of the period of use already enjoyed. • All service calls organised by SIA must be carried out by an authorised SIA engineer. * SIA will only replace the product free of charge if the item is less than 2 years old and was purchased after 01/12/2016. • The guarantee does not in any way affect your statutory legal rights. The below table shows warranty restrictions due to non-domestic conditions.